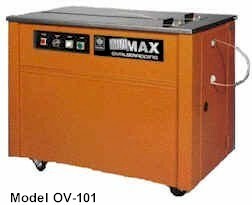 Closed Cabinet Mini-Max - Closed cabinet for dusty environments. Picture not available at this time Electronic Tension Mini-Max - Provides a more full range of tension control for products that require consistent tension. 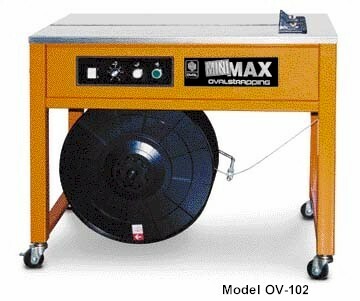 Stainless Steel Mini-Max - For wet or corrosive environments. Side-Seal model shown. Other models available. A proven way to reduce your shipping costs by replacing tape, twine, staples and glue. Automatically feeds, tensions, and heat seals strap. Adjustable to accommodate strap widths from 1/4" to 5/8". 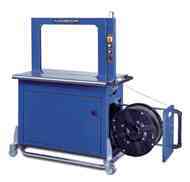 External tension control permits strap tension for delicate or solid bundles. 60-second heater blade warm-up time. Heavy Duty, hinged, stainless steel top. 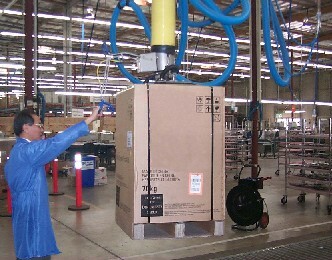 Mounted on locking casters for quick movement to packaging locations. Straps virtually any size carton.